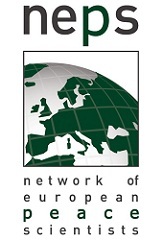 The 19th Jan Tinbergen European Peace Science Conference, annual meeting of NEPS (Network of European Peace Scientists), will take place at the Institute of Social Studies, The Hague. Mansoob Murshed will be the local host of the conference and the NEPS Lecture will be given by Jean Paul Azam (University of Toulouse). This link provides more information on the event and registration. Want to stay up to date? Register for our Tinbergen Today newsletter.